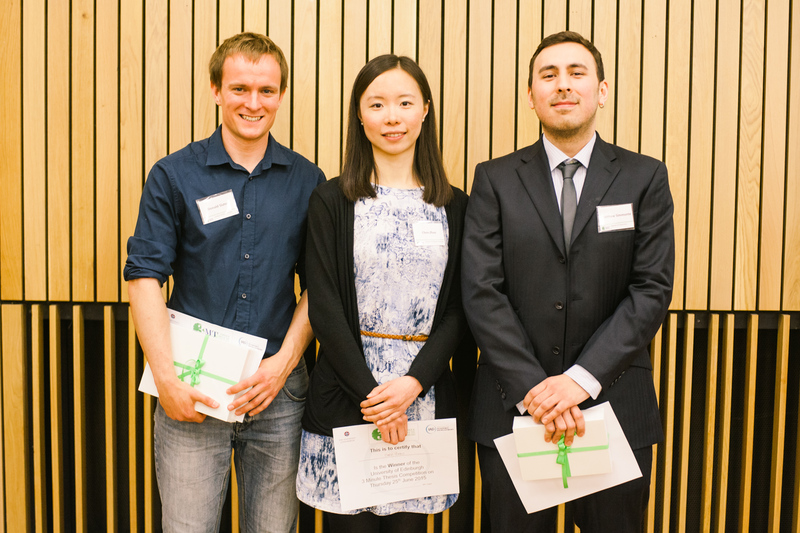 The winner of the 2015 competition was Chen Zhao from the School of Clinical Sciences with her presentation ‘Astrocyte: the Star of Motor Neuron Disease’ Chen will now go on to represent the University in the UK and Universitas 21 competitions. The Runner Up was Donald Slater from the School of GeoSciences, with his presentation ‘The Greenland Ice Sheet: cold ice in a hot drink’. Congratulations to all the finalists on a great competition.